How To – Be The Best Dressed Guest! A long time ago there was a very strict dress code for each and every event. Seriously, people got dressed up in suits to go to baseball games and ladies were in stockings and heels at the grocery store. Today, it seems, people have trouble knowing how to dress for dinner at a casual restaurant much less a wedding. I see people of all ages wearing pajama pants in public and generally speaking, casual attire has gotten out of control. So when my friend called me today and asked what she should wear to a wedding I thought it might be a good time to go over what is acceptable and what is not acceptable in wedding guest attire. So in this day of casual wear how do you tell your wedding guests that jeans are not acceptable (even with a dinner jacket for men) and that you fully expect them to dress appropriately? It is not that hard, actually. The place to let your guests know what is expected of them is in the invitation or, even better, on your website if you have one. I have defined some of the more common dress code terms so you can use them to let guests know what to expect. “Casual Attire”– If you are having a destination wedding on the beach, your female guests should wear a sundress, cruise-wear, not beachwear. 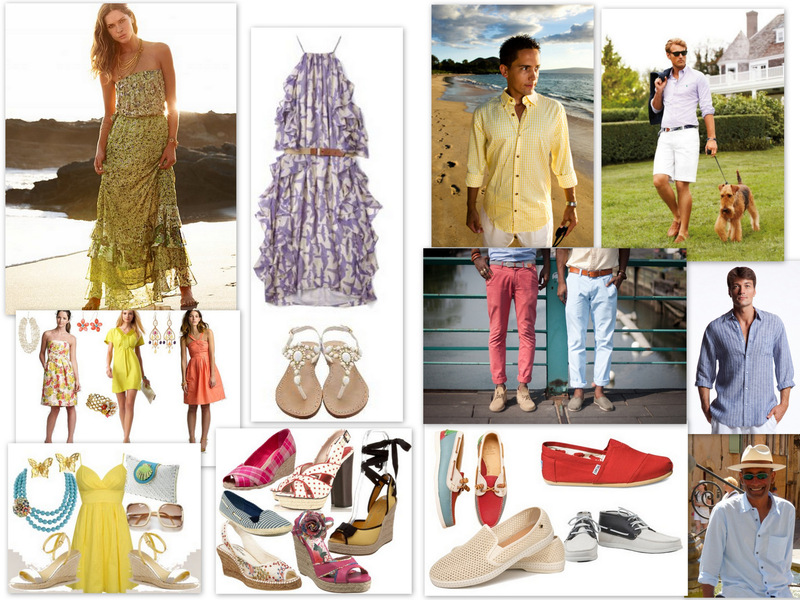 Espadrilles, sandals and a dressier flip flop ( if that exists) are all appropriate footwear. The beach is no place for stilettos, anyway. Men can get away with a nice shirt, maybe Tommy Bahama or a stylish Cubavera shirt with linen pants. “Informal Wedding Attire” is a step up from casual. A nicer dress, made of nicer fabric – something you would wear to a college graduation or to meet the first lady. Floor length is out. Men should wear a suit but still no need to wear a tie if the shirt is nice enough. For a preppy look try a navy blazer with Khaki pants and a pastel print tie. “Formal Attire” means men have the choice of a tuxedo or dark suit. Ladies can wear either short or long gowns but, it needs to be dressy. Break out the glam but, don’t worry if you prefer the casual side of formal. Cocktail dresses are fine. “Black Tie” or Ultra Formal is defined as cocktail or long dresses (only)for women and tuxedos (only)for men. Break out the fine jewelry, sparkly accessories and beaded purses. Men do not have to wear a bow tie as long as they have a tuxedo or a fine suit with contrasting fabric on the lapels. Dress like you are headed for the red carpet at the Academy Awards. If your guests do not have the good sense to know the definition of ‘Casual Wedding Attire’ ( for example), how do you enforce the dress code? That is entirely up to you. You could either have security to make sure everyone is up to par and those who aren’t are turned away or tell the photographer not to take photos of anyone dressed inappropriately. Or you could just let it go. With any luck at all, you could have someone dressed so oddly that it will entertain you for years to come. Color Of The Day: Thoroughly Modern Mint! 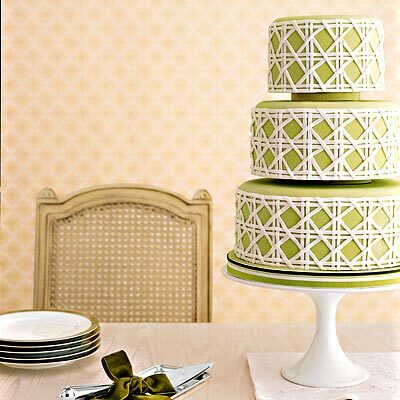 If you haven’t already selected the color for your wedding, consider Mint! Perfectly accented with gold or pink, mint green offers a refreshing alternative to bolder hues. By nature, green is a color of resurrection, abundance, hope, love and joy which makes perfect sense that any couple would want to use this color to begin their lives together. Mouthwatering treats of mint hues to delight your guests. Meaningful keepsakes for your guests to enjoy. Modern accessories to accentuate your color choice! Even this beautiful birdcage for collecting cards is more than modern in mint! Don’t forget to let the men get in on the fun. Pastel ties are hot, hip and give your groom a youthful glow. Whether your wedding is in a garden, or an upscale hotel; mint can transform nearly any space into an ethereal masterpiece of calm, cool and serene. You will hardly find a better choice than mint to begin your lives together. Whats Hot in 2013- Trend Alert! If you are having your wedding in 2013… do we have good news for you: there is a lot to look forward to, A LOT! No matter what your budget, the top trends reporting for this coming year have something to offer for everyone! 2013 is all about putting on the glitz! Along those same lines, couples will be opting for formality and sophistication in their tablescapes; crystal, chandeliers, chargers, gold silverware combined with eclectic elements to give a homespun feel. 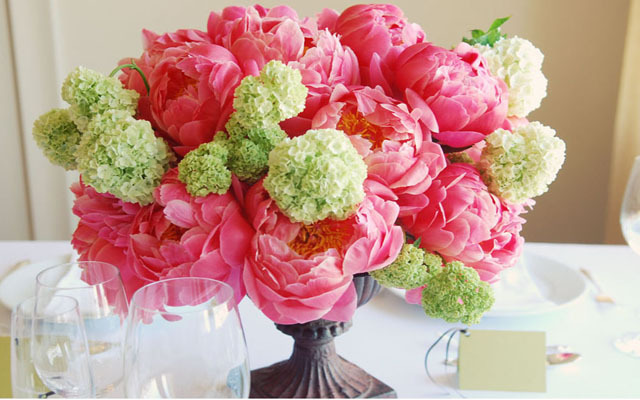 2013 Flower of the year: The Peony. 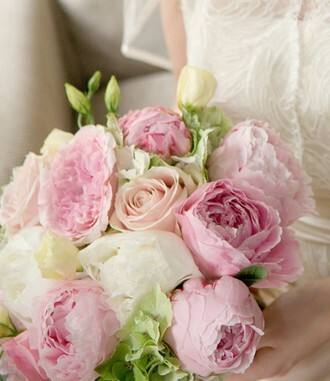 Soft, lush and romantic, the peony is the most requested wedding flower for two years running now, according to Sayles Livingston of Sayles Livingston Design in Newport, Rhode Island. 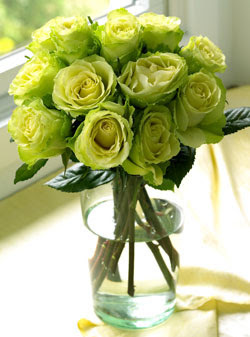 But with the bloom available for only two months out of the year, brides need a backup. Sayles recommends the garden rose, which has the same delicate petal feeling but is much more readily available. Eye- Popping Cakes. 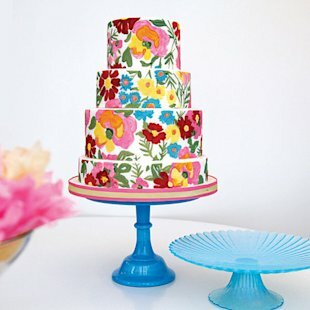 The cake style that dominates right now is clean and modern with eye- popping color or all-over appliqués. Is it vintage or is it modern? Who knows, who cares – it is chic and adorable so go with it!. “Less is More” Color. 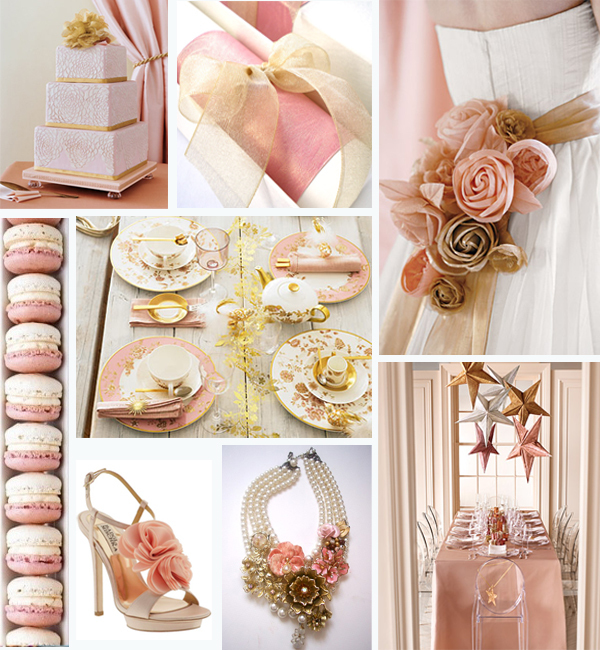 Neutral color palettes; Blush, grey, champagne will continue to trend among all brides whether formal, semi-formal or casual. 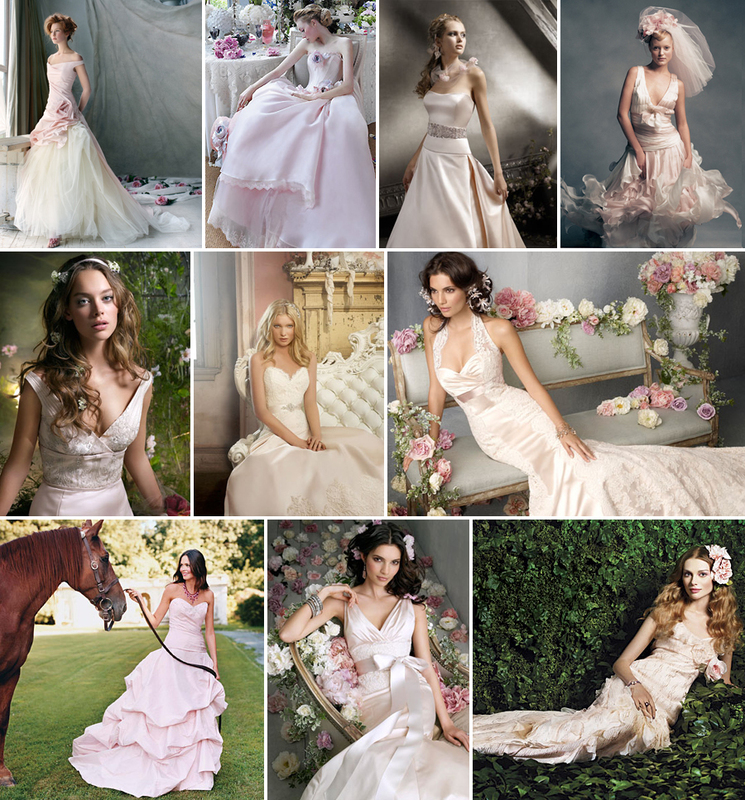 Softer fabrics,laces, softer colors are one of the must-haves for a glamorous 2013 wedding. The look is surprisingly versatile and wears well on almost all skin tones. Foil stamping is in! Look for glints of metallic gold, silver and bronzes stamped directly on the wedding invitation. Imagine your names, or calligraphy scrollwork looking modern in gold. It adds a very fun pop without being too glitzy. Those with a sweet tooth, take heart. 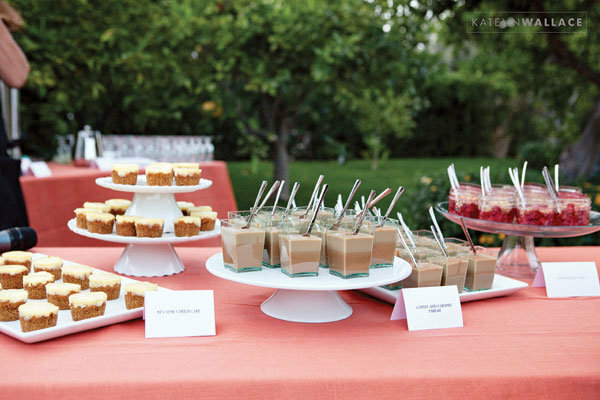 Dessert bars are here to stay, but now they have a formal twist.Look for requests for dessert bars by color. For a white one; do merengues, French macaroons, fudge brownies topped with powdered sugar, and lots of desserts with vanilla-bean frosting. 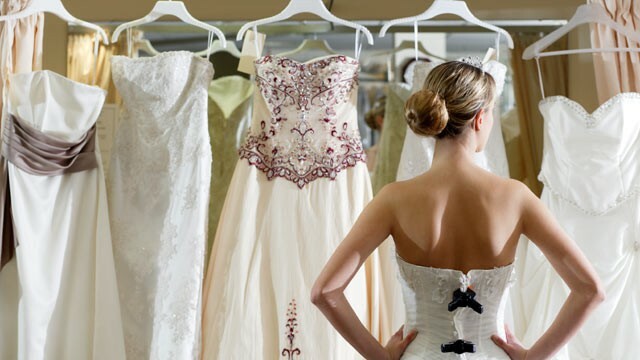 No matter what you are looking for in 2013, you will find everything you need at one of Bridal Expo Chicago’s Luxury Events. Please call our office at 847-428-3320 or visit our website www.bridalshowexpo.com to get tickets to a show in your area. Thanks in large part to Pinterest, this trend has enabled brides to see the big picture when it comes to their wedding story. Less than 5% of couples have their ceremony in a house of worship. Finding just the right place to celebrate your love is a charming way to spend time and express your individuality. Jessica Biel and Reese Witherspoon both tied the knot in subtle shades of pink. Color is hot and you are guaranteed to see a lot more of it in 2013. Bridesmaids wearing different (but matching) gowns, making every single groomsmen’s boutonniere slightly different, brides wearing cowboy boots, having homespun touches at the reception. Breaking tradition is the new tradition! According to Theknot.com about 25% of all couples delay their honeymoon by more than a week. It gives you time to unwind and prepare for the journey without feeling rushed. 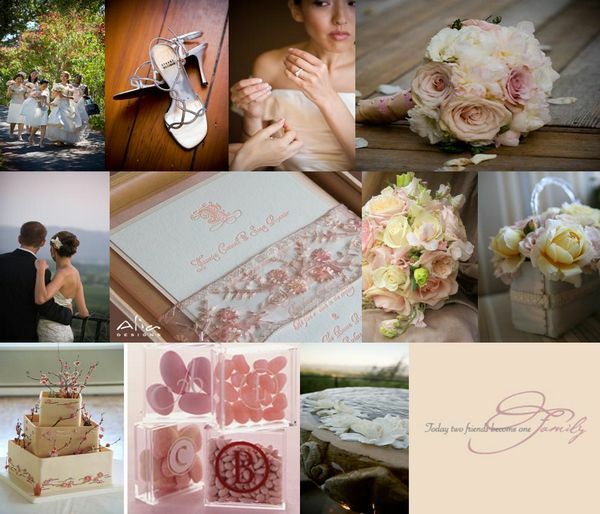 Excited to see what 2013 has in store for weddings? Tune in tomorrow when I explore some 2013 wedding predictions! The recent news of the engagement of two-time Grammy winner and American Idol alumni Kelly Clarkson to Nashville talent manager Brandon Blackstock got our creative juices flowing, imagining what kind of wedding this “Southern Belle” might have in mind! It’s all about the family. Expect to see cousins, kids, aunts, uncles and relatives from every corner of the globe – even Yankees! The more the merrier, Southern weddings are known for being large and friendly so, when it comes to family; there is always room for more. Grooms Cake. A groom’s cake presents an opportunity for the bride to get creative & really WOW her groom. Since so much of the wedding is about the bride & her style, this is a great way to honor the most important man in the room.This tradition has really been embraced by people across the globe. Beverages. Southern brides love to honor their heritage, & the quintessential beverages of the South are the great way to do so. From mint juleps & neat bourbon to sweet tea & Coca-Cola, there’s a Southern beverage to quench the thirst of young & old wedding guests alike. Charming Accents. Glowing votives, floating magnolias, mason jars, old fashioned lanterns, parasols; all touches that remind you of a simpler era are abundant. Think of timeless elements that would work as easily in 2012 as they would have in 1954. Most of all, the Southern culture is steeped in beauty, elegance, and grace. Whether your wedding is Sweet Home Alabama or Sweet Home Chicago, you can always incorporate some of these elements to make your celebration ooze with Southern Hospitality. All Brides Are Looking For One Thing…Can You Guess? What do brides really expect from their wedding vendors? Great customer service! At Bridal Expo Chicago, we do everything within our power to make sure our “to-be-weds’ are the most well informed and pampered customers in the wedding market. We scour the wedding market thoroughly to bring to you the best vendors available… all in one place. What we give our clients is what we expect them to pass on to our brides; the best customer service available. So what (exactly) does great customer service entail? 1) Contact – If you have called a vendor more than once and haven’t gotten a call back, this is a red flag. If they can’t be on the phone to schedule an appointment before they book your event, what will happen once you have paid? Vendors – Get in touch with your clients even if you are swamped. It only takes a few minutes to book an appointment or to explain why you can’t. If you don’t have time to call them back, don’t be shocked if they feel the same. 2) Too Much – Inundating your potential clients with mass emails, constant phone calls and all kinds of direct mail can be a little much. If you are filling their inbox, mailbox and voicemail with offers or discounts (no matter how good they are) they could become frustrated. Some might see it as desperate and even worse, annoying. Remember there is a difference between being persistent and being pushy! Find a balance by asking for customer feedback and always have an ‘opt out of offers’ button, as required by the FCC. 3 emails per week might be just right but, 3 emails every hour might be a little too much. 3) Offers – If you are going to advertise a promotion, make sure it is valid and easy to understand. Tricky numbers and faux discounts is a huge turn-off. Another turn-off is gimmicky offers that have more fine print than a Chicago phone book. Everyone loves to save money so offering incentives is always a great idea…. unless the customer can’t understand the terms. When you are handed a prize onstage at a Bridal Expo Chicago event, you are handed a prize with no strings attached. 4) Remember– If you can’t remember the name of the person you are speaking to, there is a problem. Keep a notepad and jot down important information about their event so you can refer to this when you are speaking to them. Never pick up the phone without picking up their file so you can stay on top of changes, making notes each time. Clients book vendors based on a feeling of familiarity and comfort more than price-shopping alone. 5) Go the extra mile. Knowing the colors, flowers, favorite songs or other details of the wedding, will show your customer that they are important. One vendor in particular always presents the bride and groom with a gift that signifies their relationship. Whether they play golf, or tennis or are big NASCAR fans, he goes the extra mile to make sure they know how much time and love he has invested in them and their event. We are all consumers so we know how important customer service is for our brides and grooms. Rather than worrying about whether or not the customer is always or even sometimes right; it might be a little more helpful to conduct your business according to the golden rule: “Treat others the way you want to be treated” Be honest, be reliable, be efficient and willing to work to produce the most desirable outcome. Bridal Expo Chicago does not sell or share email lists or personal information with any other companies. If you ever have a problem, please contact our offices at 847-428-3320. Supposedly, there are two things you don’t discuss at family gatherings; politics and religion. In truth, putting politics aside for one night might not be an option when the bride is a blue-dog-Democrat and the groom is a dyed-in-the-wool Republican….and we are three days away from a major (presidential) election! Given the current political climate where so many unflattering distinctions are made between left and right, red state and blue state, conservative and liberal, it is kind of fun to peek into how bipartisan couples make their celebrations come together without tearing them apart. So how does a couple of differing political backgrounds and views put their differences aside for a night of revelry? It is a lot easier than you think. Spotlight –Bring it out in the open. Without condescension or trivialization, openly address the situation. Have a Election-themed affair with Donkey and Elephant favors at each table. Instead of numbering the tables, name them after your favorite politicians of each party and mix it up. Put Republicans at the Clinton table and Democrats at the Reagan table. If you really want to have some fun, how about large cut-outs of current and former candidates and let guests take photos with them…. just like on the street corners in Washington DC. Seating Chart – As nice as it is to think that everyone will put their differences aside for one night, they won’t. Think about this when doing your seating chart. Unfortunately this means more work for the couple but, it will be worth it to make sure Aunt Sarah doesn’t go off on a Social Security rant to one of your dearest friends. We all have that one relative or friend who thinks their opinion matters more than everyone else… and they think they are much smarter, as well. Put them where they will cause the least damage! Edit – Ask anyone giving toast or speeches to make sure they keep it light and fun. This is a great time to jab but, no name calling. Remember that humor goes along way… think of the White House correspondent’s dinner. If you have any doubts, ask an impartial (third party, if you will) person to take a look at what your speakers have to say. Discuss –Talk to both of your families as a couple, at the same time if possible. Sit them down and tell them that you would like for them to behave for one evening and leave the Obama-care discussions for later. Explain that they have a lifetime to blame Bush (or Clinton) for the current economic debacle but for tonight they need to check all snyde comments and opinions at the door. Change –Don’t try to change everyone’s opinion to suit yours. Don’t marry someone thinking you will change their political views and don’t presume that your family will change theirs either. Accept the differences and move on. Topics to avoid are healthcare, immigration, and scandal, as each party is equally prone to having skeletons in their closet. For every John Edwards there is an Arnold Schwarzenegger so be careful when opening that door as it is not an easy one to close. There are many couples of opposite political views who make it work nicely without sacrificing their opinions. James Carville and Mary Matalin are two of the most opinionated political advisors of different parties and they have had a very successful marriage. Now, if politicians could only learn to play nice, we might get something done. Maybe we should ask Mitt Romney and Barack Obama to plan an entire wedding……. without the help of their wives!